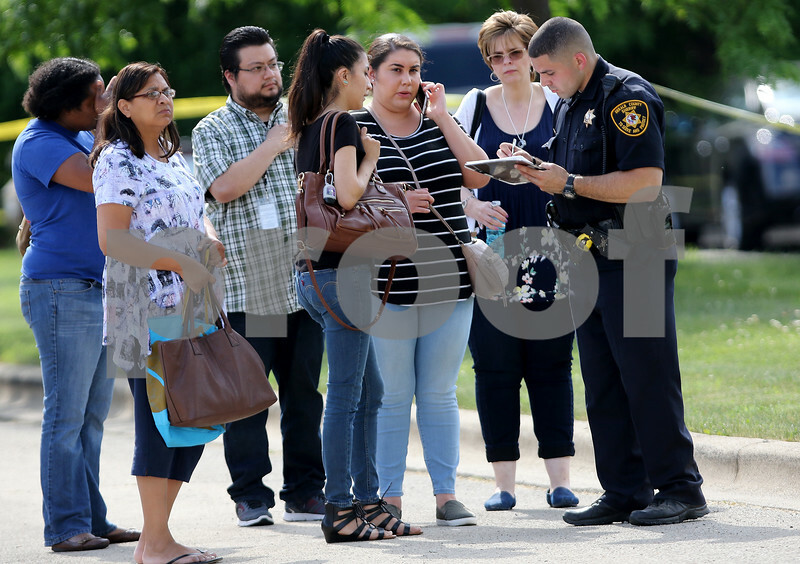 DeKalb County Sheriffs Department Deputy Jesse Bloria talks with people released from the scene of an alleged homicide at the Department of Human Services building, 1629 Afton Road, on Friday, June 09, 2017 in Sycamore. An email blast at approximately 3:15pm went out to building employees saying that shots were fired and to exit the building by 4pm. Police are looking for two men, Antonio Juarez, 44, who might be armed with a handgun in connection with the crime, and Antonio Dias, mid-40's, possibly driving a black Chrysler and a maroon Ford F-150.